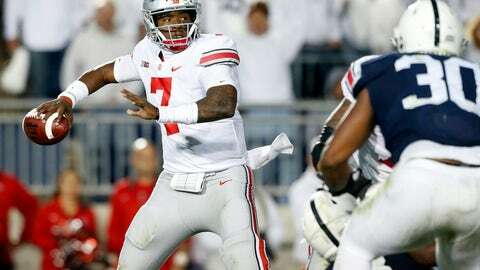 Haskins certainly has displayed poise since then . He’s rewriting the school record book for single-season passing this year and has helped position Ohio State second nationally in total yards. His 36 touchdown passes are tied for first in the country. But he didn’t have the starting job in hand until Joe Burrow dropped out of the quarterback derby in the summer and subsequently transferred to LSU. No. 4 Michigan (10-1, 8-0, No. 4 CFP) likely will make its first trip to the College Football Playoff by beating Ohio State and then taking care of Northwestern in the Big Ten Championship. Michigan is making the final stop on what defensive end Chase Winovich has called a revenge tour . The Wolverines have beaten three of the four teams it lost to last year, leaving Ohio State as the last one. They have been increasingly confident publicly.